Did you grow up eating VY-EENIE (Vienna) Sausages? Whether you pronounce the name VY-EENIE, Vee-inner, or Vienna they were a staple in most of our homes. They were also handy to carry with you for a snack with a pack of Saltines. Remember those little cans you had to open with a key to reveal seven perfectly formed sausages in a mostly clear juice? I thought they looked like a flower stuffed into that can. A VY-EENIE weenie flower. Of course, after getting the key to work on the can wasn't always an easy task. Neither was the next step--getting the first VY-EENIE out of the can. A fork helped. 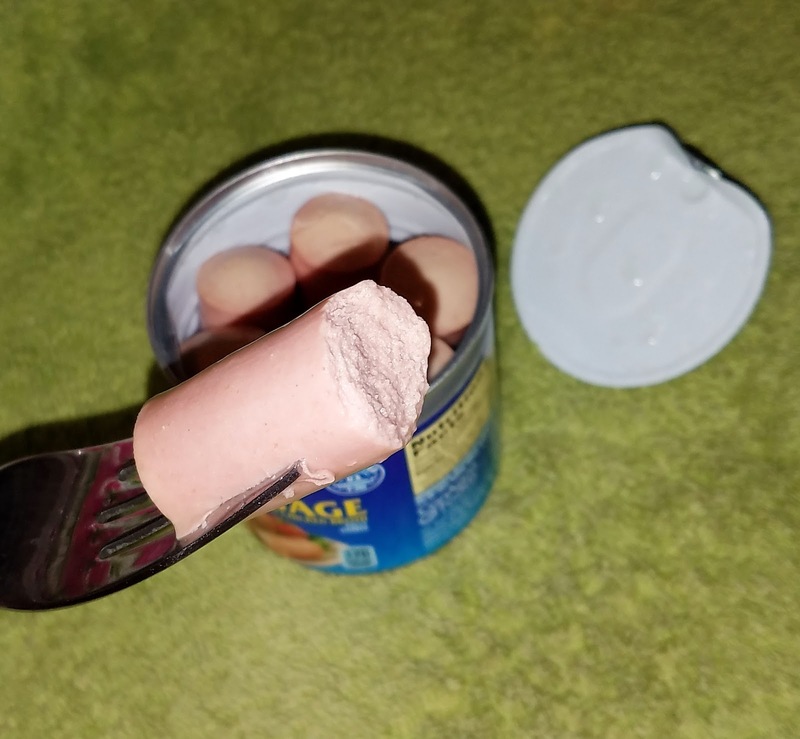 But if you didn't have a fork with you, you had to dig into the VY-EENIES with your fingers and wrestle one out. VY-EENIES are the poor man's caviar. About as appetizing when I think about it now. Funny how we didn't think about what was in those little sausages then. We just ate them. Now I realize how disgusting a combination of ingredients made up those beloved VY-EENIES. In spite of my new-found knowledge of the ingredients, I had to try one as I prepared this post. So I took one bite. However, I could only eat one bite as the gritty flavor lingered in my mouth. Do you still eat VY-EENIES? What do you call them? 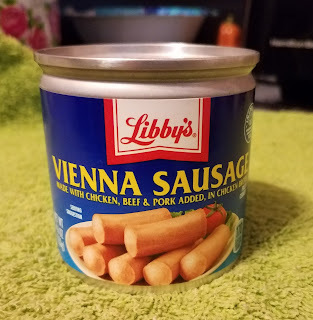 VY-EENIE sausages? 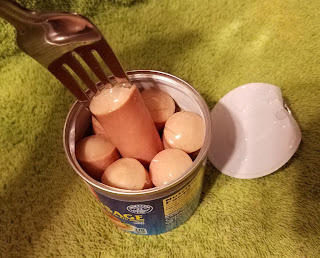 VY-EENIE weenies? Vienna Sausages? OKREE (Okra) is one of those foods you either love or hate. During my childhood, I could only tolerate it if it was dusted with a mixture of half flour and half cornmeal and fried in a black iron skillet. Of course, as in all things, we added a sprinkling of salt and pepper to the mix. Then it fried until all the slime was gone and it was golden brown. Later in life, I attempted to eat it in soups or combined with stewed tomatoes. Nope. 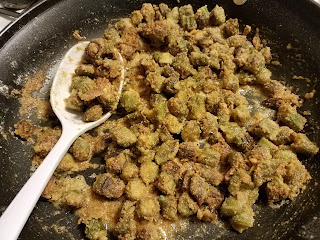 My OKREE (I called it okra) had to be fried. I could not handle that slimy mushiness. YUCK! 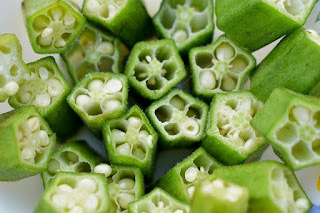 Although I and many of my friends called it okra, the older folks (like my dad) referred to it as OKREE. Daddy always planted a row or two of OKREE plants in our hillside garden. The plants grew quite tall--taller than me. 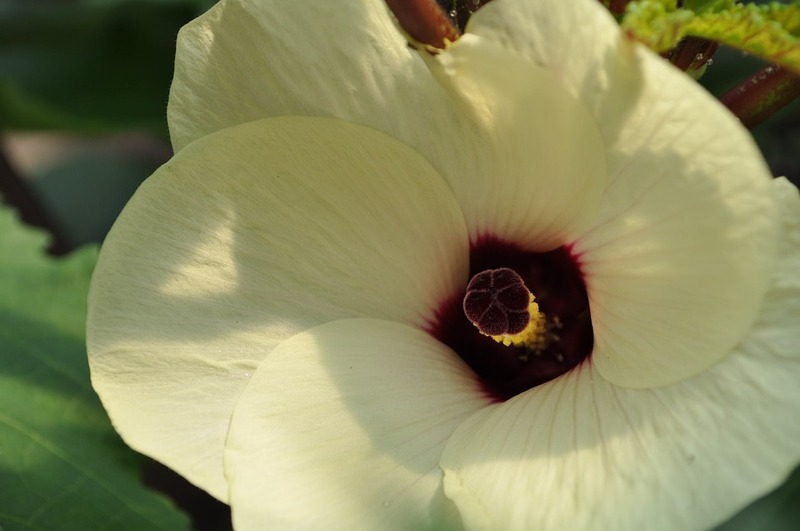 I loved the soft yellow flowers that preceded the pods of OKREE. I wanted to pick some, but Daddy wagged his finger at me and said, "If'n you pick them flares, you won't get no OKREE." So, I controlled my urge and admired them from a distance. When the pods were just the right size, according to Daddy, we picked a mess and took them inside to Mom. I got to rinse the dirt off before Mom sliced them. The sensation of the tiny hairs on my fingers made me think they would stick into my fingers like tiny needles. They didn't hurt, just felt weird. After rinsing, I remember having to sop up the water so the outside of the pod didn't get slimy. The tiny white seeds inside fascinated me as Mom sliced the OKREE. The smells of OKREE cooking made my tummy gurgle with delight. No matter what else we had for supper, I dug into the crispy morsels with gusto. At the end of the growing season, like about now, there wasn't enough OKREE left to gather a whole mess. So, we'd search for a few scrawny green tomatoes still clinging to the vines and combine the tomatoes and OKREE into one fair-sized mess. Instead of slicing the tomatoes, Mom or Dad (he was a fabulous cook) would dice them into cubes and add them to the OKREE. Of course, they first dusted them with the flour/meal mixture. Sometimes, I make a mixture today, even if I have plenty of the ingredients to make a full mess of either one. The tomato adds a tanginess to the mix. Makes for a satisfying dish, for sure. After writing this post, I've decided I need to fry up a mess of OKREE for my dinner tonight. It's sitting in there waiting for me. Come to think of it, I've got a couple of green tomatoes in the fridge, too. I'm going to have a fabulous supper. 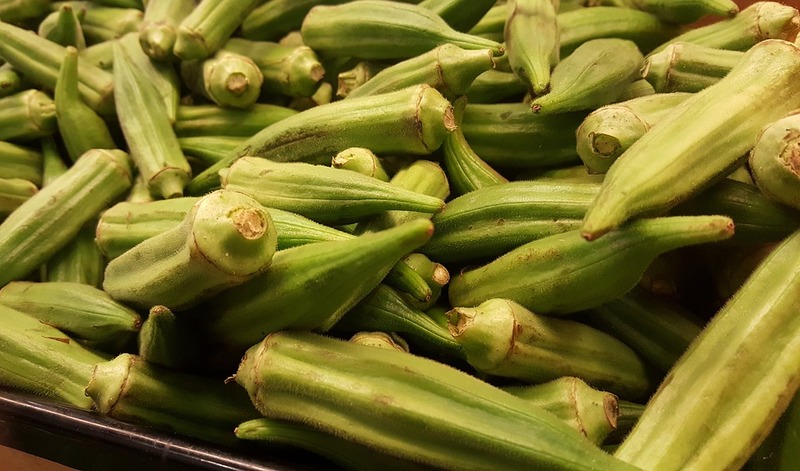 Did you grow up eating OKREE? Or okra? Did you love it or hate it? Do you ever eat it today? I'd like to hear about your memories. 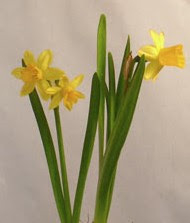 Recently I brought home a pot of miniature daffodils from the grocery store. The anticipation of pert yellow blooms gave me hope for spring and warm sunshine. Though we’ve had more rain than snow this winter in Atlanta, I needed a boost of hope. 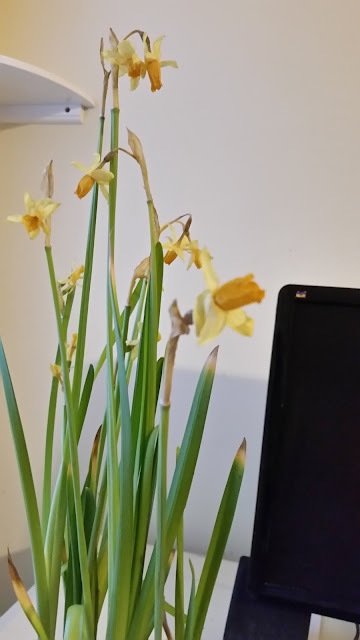 For several days, I watched them grow and then bloom as they sat on the corner of my desk. Whenever I looked at them, I smiled. And then… they began to wilt. 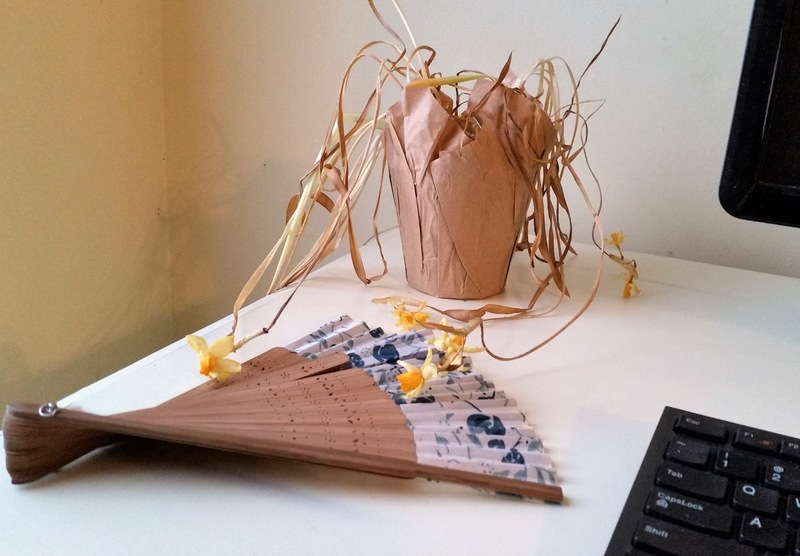 The leaves turned brown and drooped until wrinkled and faded blooms lay helpless on my desk. I no longer smiled when I looked at them. I pined for the days of perky yellow happiness. Then I realized… I can relate to how the flowers must feel about their decline. I’ve had a tough year or so. I’m getting old. My prime is passed. I have wilted. Is my life almost over, too? Can I only expect to be treated like a flower that no longer matters? Will I be snipped off and tossed in the trash? Dismissed and forgotten? The flowers may be gone, but the plant is not dead. The bulb, the life source, is still as strong as always. After a brief rest, new stems will emerge from the soil and new flowers will bloom. My life source is still strong and alive and growing, even though I feel the effects of my current wilted existence. I have more flowers to share. All I have to do is rest and let my power source take over for me, to re-charge me and revitalize me. Did you ever play in a CRICK? 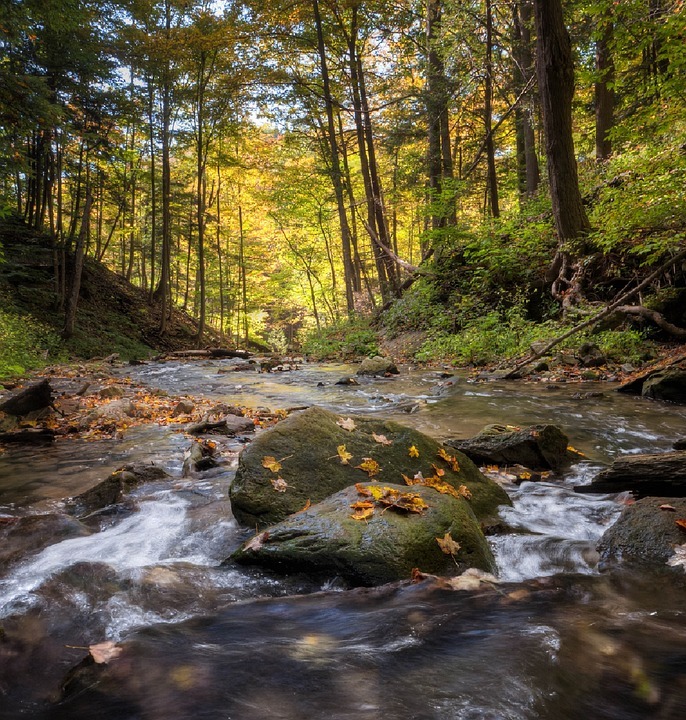 Some of my most wonderful memories of childhood are times spent wading in a CRICK, splashing in the water, lifting rocks to see what was hiding beneath, and wiggling my toes in the pebbles that usually covered the ground. Know what a CRICK is now? I'm not talking about the CRICK in your neck when you sleep wrong. Or when you spend a couple of hours craning your neck to watch a TV screen in a restaurant because your favorite team is playing. 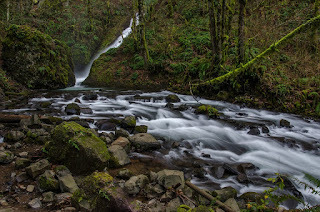 I'm talking about the CRICK out back that splashes white water as it rushes across smooth rocks and stones as it flows. 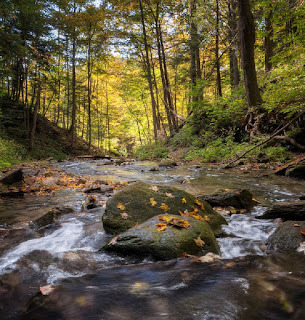 The CRICK that washes away your troubles by the sound of its rushing. The CRICK that cools your toes and your whole being on a steamy summer day. The CRICK where you and your childhood friends gathered and spent hours together laughing. A place where memories were made. My family used to take a picnic lunch down to a CRICK in the mountains. We all sat around on rocks and ate our food. 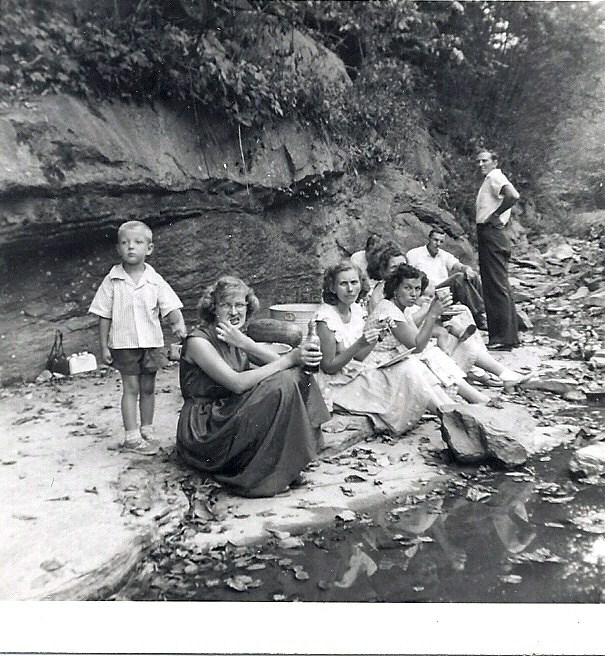 The children played in the CRICK. It was the place to take visiting family members who had moved away from the mountains. The CRICK whirls through your mind and takes you to a place where everything in your life is happy and carefree--even if for a brief time. I remember the more seasoned residents of our town saying "Lord willing and the CRICK don't rise" in response to making plans to see each other again. Of course, if heavy rains caused the CRICK to rise, you couldn't get to the other side. It would turn muddy brown, the power of the water would possibly knock you down and carry you along with it, and your footbridge across the CRICK could be swallowed up by the water. 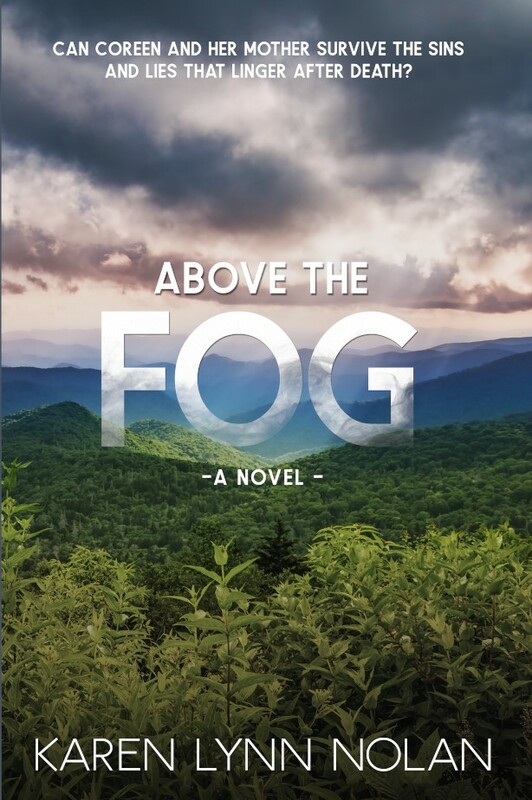 A few years ago, I attended a writers workshop at Hindman Settlement School in Kentucky. Behind the school, Troublesome CRICK flowed gently past. I never knew why it was called Troublesome until one afternoon when the clouds opened up and added so much rainwater to the CRICK that stirred it up muddy, caused it to overflow its banks, and spread out onto the property. Truly a Troublesome CRICK at that point. There are days now when I dream of a CRICK. 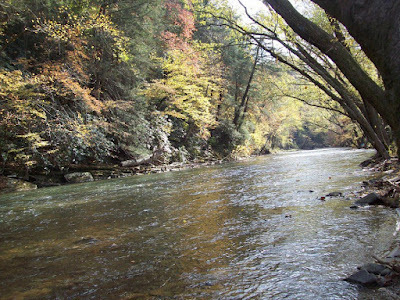 A CRICK that originates from an underground stream that flows down the side of a mountain and gains speed to propel it through the holler. When life's troubles overwhelm me, I search for a CRICK. The place where I can relax, splash in the cool water, and let the CRICK wash away all my troubles. 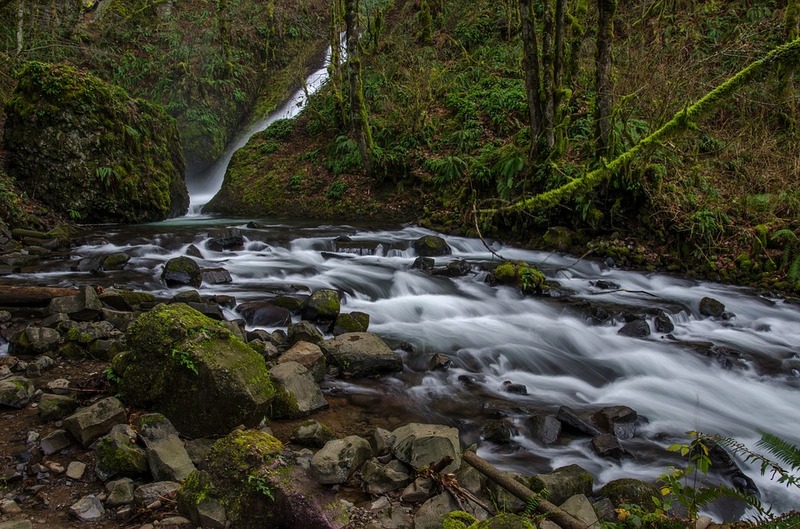 Do you have a place you go to wash away your troubles -- like a CRICK? Do you need a CRICK today? 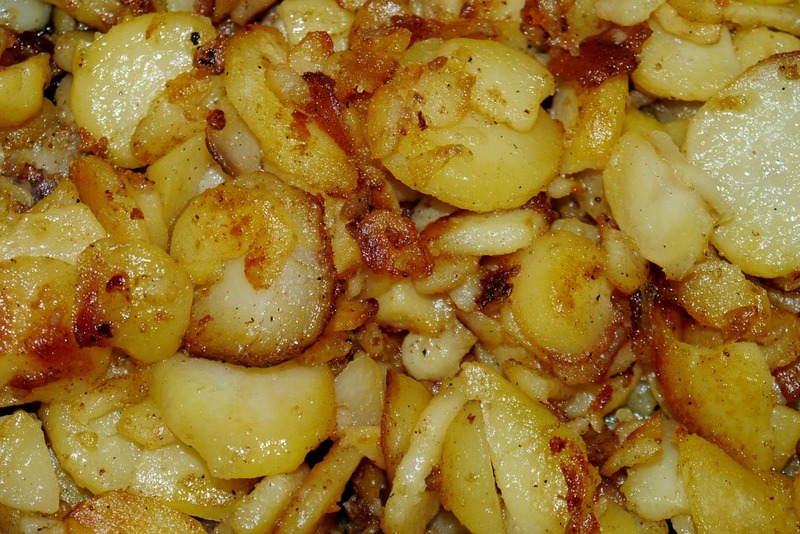 One of the most versatile staples in our Appalachian family was the TATER. Easily accessible and cheap, the TATER easily adapted to nearly every meal. No matter which variety of TATER we used or what we did to it, it excelled as a lip-smackin' part of the meal. 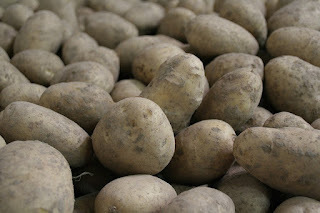 My brother or I often had to make a quick trip to a nearby roadside store to pick up some TATERS for dinner. Dad usually told me to get Arsh (Irish) TATERS. Sometimes he preferred the I-dee-ho (Idaho) TATERS. There were other varieties for special times--like new TATERS and sweet TATERS. One of my favorite methods of cooking TATERS was fried TATERS. Mom always sliced some onions and put them in the iron skillet with the TATER slices. Oh, my goodness, what the fragrance would do to my nose and stomach! We mustn't forget the other fabulous TATER dishes, though. Mashed TATERS are necessary for chicken or turkey meals. A baked TATER is a perfect side for a pot of homemade chili. Diced TATERS add the filler for a pot of homemade beef and vegetable soup. Of course, when we got to go out to eat at Creech Drugstore or the counter at Newberry's 5 and 10, we loved getting an order of French Fried TATERS and dipping them into ketchup. 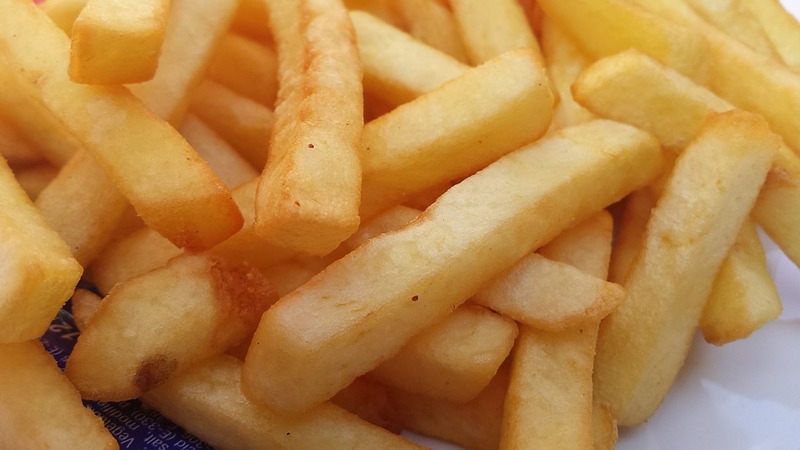 Later, when I was at school and could go out to eat lunch at Goldie's Corner Store or Mike's Drive-In, I loved having a corndog, hamburger, or hotdog with an order of steamy hot French Fried TATERS sprinkled with salt. Whenever I was sick, my mom made a big pot of TATER soup. It seemed that when nothing else would go down -- or stay down -- that soup would hit the spot and heal me. Still today, when I feel under the weather, I yearn for TATER soup. 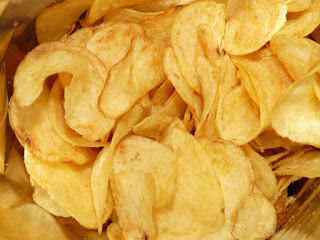 Dad used to make a special treat for us by slicing TATERS really thin and dropping them into our deep fryer until they were golden brown. Yep, homemade TATER chips. Even Grippos don't compare to my daddy's TATER chips. On those rare occassions when we had leftover mashed TATERS, Mom would use them the next day to whip up some fried TATER cakes. Oh, my, they were amazing with their pieces of diced onion and flour mixture, fried until golden brown in an iron skillet. It's disappointing that as I age my dietitian instructs me to severely limit my intake of TATERS. I pray that when I get to heaven TATERS will once again be readily available, with no limitations. I'm dreaming of a breakfast of fried TATERS smothered in gravy. What's your favorite TATER recipe? Do you have a special memory of a TATER dish? Do you know what a TAR is? I don't mean the tar you use to turn a gravel road into a paved one. It's also not the TAR they used to use to patch holes in the roof or make TAR paper. Man, that stuff would stink to high heaven -- kind of like a polecat (we talked about those a few weeks ago). I'm talking about the TARs you put on your car to make it roll. If you're not from the mountains, you might call them tires. When I was a kid, I wouldn't have known what you were talking about. TARs stink, too. I remember going with Daddy to buy a new TAR at the Sears a couple of times. Those TARs were stacked up all over the place and they stank like crazy. When I go to a TAR place to get my new TARs these days, the memories of shopping with Daddy come back. After all these years, TARs still smell like TARs. I'd much prefer the smell of fried chicken to a room full of brand new TARs. I do enjoy the memories, though. Like when Daddy got out with his sledge hammer and beat on the old TAR to get it off the rim and then had to put the new TAR on. It was hard work. He'd be sweating streams that dripped off his face and his white t-shirt (they called them wife-beaters back then) would be soaking wet. That reminds me of some of my friends back then who misbehaved so much that their dads beat the tar out of them. I think they meant a different kind of tar. TARs are used on more than just cars. 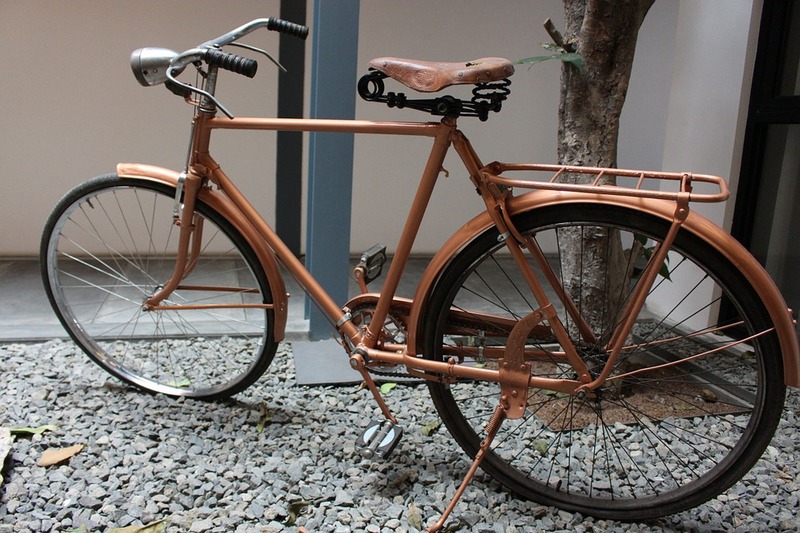 We can't forget that bicycles, motorcycles, and even tricycles use TARs. 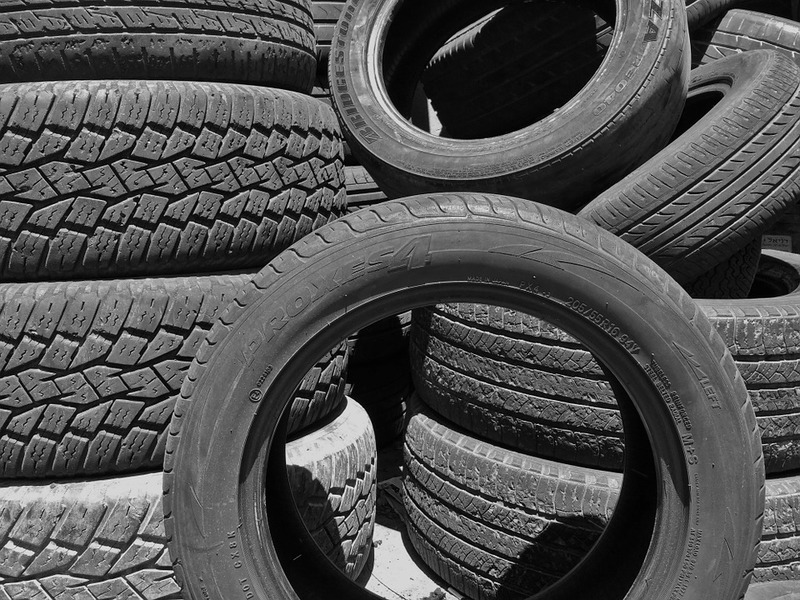 Used or damaged TARs that were past the ability to re-tread didn't end their usefulness, though. My mom convinced my dad to cut a zig zag design into the inner edge of a couple of old TARs for her. 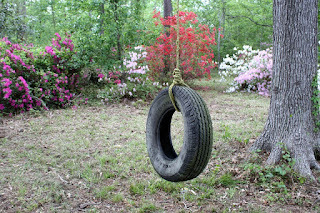 She put them in the front yard, filled them with dirt, and planted flowers in them. I'm sure it wasn't her idea originally and she'd seen them in someone else's yard first, but they were rather pretty. I especially liked the spicy smelling petunias she planted inside. One year she saw some painted white TARs in somebody's yard over in Corbin, KY and decided to paint hers, too. It did freshen up the old black TAR look a bit. Old TARs are often used to entertain the kids, too. All you have to do is tie a rope through one and then hang it over the limb of a big tree. That TAR swing gave us hours of fun. Sometimes I wonder if I went into a TAR store here in Atlanta and asked for some new TARs for my car if they would know what I meant. I might try it if I need some amusement one day. Do you remember TARs on your car? Do you still call them TARs today? Do people know what in the world you're talking about? Did your family have a unique use for old TARs? I'd love to hear about it.